It's turning into quite a year for HIV treatment. First a baby girl was functionally cured of the HIV virus, then 14 adults were successfully treated with early-stage ARV drugs. Now, two men with longstanding HIV infections have been freed from HIV drugs thanks to bone marrow transplants. We're really getting there. The two men—one of whom became infected with HIV "in the early years of the epidemic", the other as a baby—were given bone marrow transplants at the Dana-Farber/Brigham and Women's Cancer Centre in Boston to treat cancers of the blood. But tests have since shown that, as their cells were replaced by those from a donor, the level of HIV virus present in their bloodstreams steadily dropped until it became undetectable. The men have since stopped taking antiretroviral medication—and there's been no sign of the virus returning. 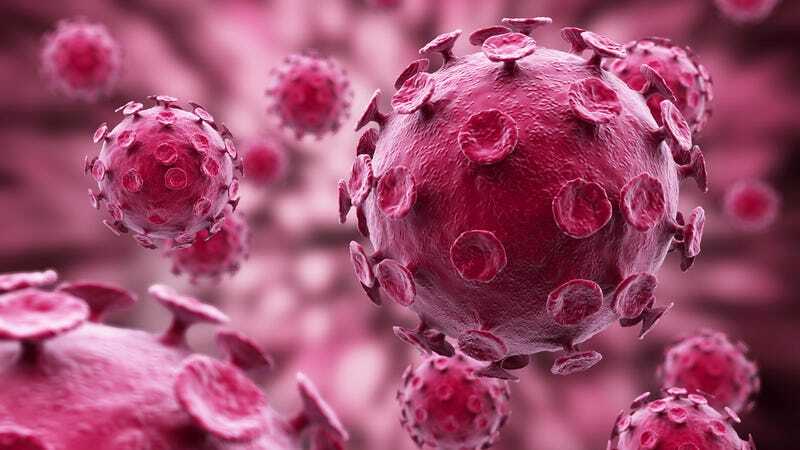 Doctors haven't been able to identify the HIV virus in their tissue either—but since it's able lay dormant at low levels and later become active, the pair are being monitored closely. The research was presented at the International Aids Society conference in Kuala Lumpur this week. It's not the first time bone marrow transplants have been used to treat HIV. Back in 2010 a patient in Berlin underwent a similar procedure, receiving marrow from a donor who had genetic resistance to HIV. Such donors are incredibly hard to find, though—so the latest results, which used normal donors, is an exciting new development.